I have been asked about volcanoes as we are currently in the Bering Sea very close to the Aleutian Islands which are made up of a long chain of volcanoes, so I thought I might write a few words. I have been interested in volcanoes for almost 30 years and I have been lucky enough to travel around the world to see and climb many of them. Most of my research has been looking at the material that Australian volcanoes produced 300 to 400 million years ago. These volcanoes are long gone but we can still read the story of their eruption in the deposits they leave behind. Stratovolcanoes form at plate edges where oceanic crust (7 to 10 km thick) or lithosphere (100 km thick and including the crust at its top and part of the mantle underneath) is pushed under or subducted beneath other crust. The crust on the top can be other ocean floor or a continent. As the ocean crust goes down into the mantle (the layer beneath the crust), sea water that is trapped in the sediment is released and causes the overlying mantle to melt. This melt is called magma. Magma slowly rises up taking thousands of years to reach close to the surface and then it can erupt. 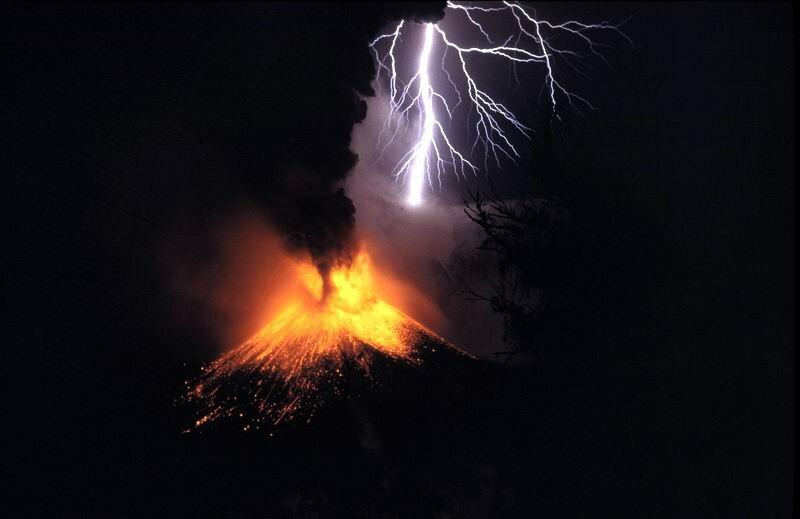 Stratovolcanoes often erupt very violently and are very dangerous. They erupt both lava and ash. The ash go can billow out tens of kilometers into the air! In her next post, Kelsie will talk more about the other types of volcanoes! Evidence of volcanoes can be found throughout the cores recovered on the JR. From ash layers to volcanic rocks their presence is known, and they can tell us much about when and where they were active. If you have any questions be sure to post them.